For the fifth year Kalix is exhibiting at FNCE. For the fifth year Kalix is exhibiting at FNCE. Please if you are attending, some and say hi. We are in the main hall, Technology for Practice Pavilion Booth: 1847. 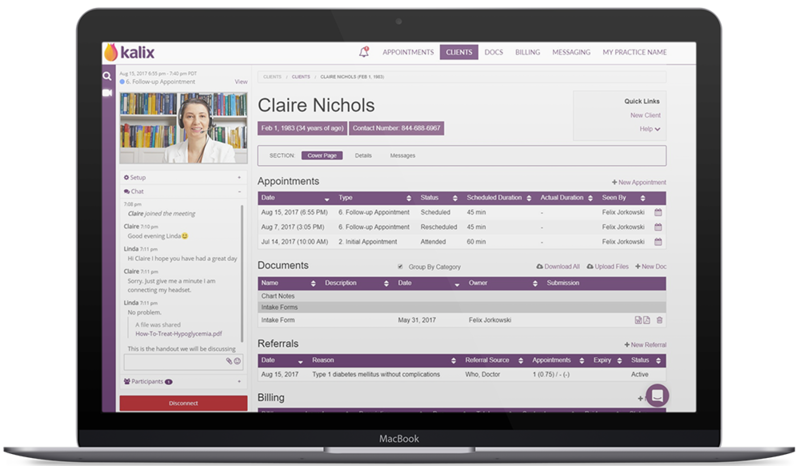 Learn more about some of the new features we have released including our HIPAA compliant virtual appointment (telehealth) solutionand integrated e-fax solution. Integrating video conferencing, scheduling, charting, secure messaging & billing into a simple to use platform, Kalix increases the efficiency of your services while giving your clients the experience they deserve. New customers can receive 20% OFF the first 12 months of Kalix. Plus enter the draw to win 1 year free subscription plus $100 messaging credit. Looking forward to see you in Chicago.